We are already halfway through our Cosmo Cricket collaboration week! Each day this week we're sharing projects featuring Cosmo Cricket and Neat & Tangled. We hope that you are enjoying the projects as much as we have been enjoying the products! Every good collaboration need a couple prizes, right? We've got a great bundle of Cosmo Cricket goodies to share with one of you. Just leave a comment on each post this week and we'll pick a winner and announce them next week. For my card, I used the Cosmo Cricket Resist Pen along with the Pentagon stencil for the background, tracing the stencil openings onto watercolor cardstock. Then I used several of the Swatch Sticks to paint over the resist pattern. I dapped the swatch sticks onto an acrylic block and my water brush to pick up the color and control the intensity. I added this sweet skunk image from Little Stinker along with a few accents using Glacier White enamel accents. Hi there! For my first card, I stamped and colored elements from Mermazing and set them against watercolored backdrop. I adore these new products from Cosmo Cricket. They are made for watercoloring dummies like me! I used the watercolor brush to spread a little water around, then sprinkled some Pool Pixie Paint onto the piece, and basically my work was done. I blended out the background a bit and added some flecks of lighter and darker paint to give depth to the scene. My next projects are a little tag duo. I played around with the Candy Pixie Paint for both. On this tag, I used the Resist Pen to add polka dots to the bottom half of the tag, let it dry, and then watercolored with the Pixie Paint over-top. When everything was dry, I used a brown pen to add doodly circles around each polka-dot. I added the little girl image from Better Together, and the new script Celebrate die to finish off the tag. For my last tag, I did more of the same: doodled polka-dots with the Resist Pen and watercolored over-top with the Candy Pixie Paint. I added the Hooray wreath a little bird (from Kitty's Favorite Things) to finish off. Be sure to leave a comment and come back tomorrow for more inspiration from our Design Team. At the end of the week one lucky commenter will win a Cosmo Cricket prize pack! I really like the cards and tags. 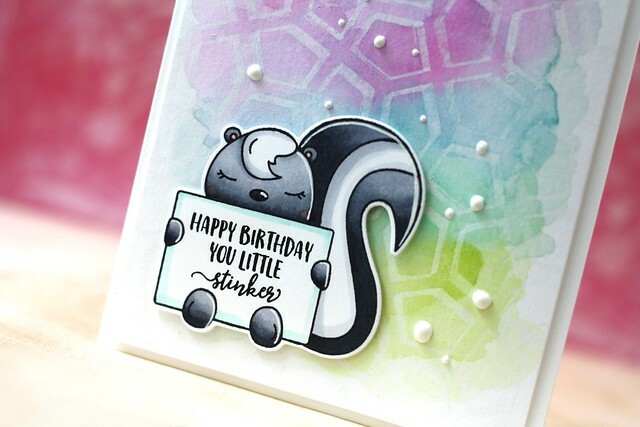 Laura' Little Stinker card is adorable!!! So adorable! Love the underwater card. I like the stenciling and watercolor look. Awesome creations Laura and Elena! I love yor cards and the cutie tags! There is so much depth to your the design. me of a soccer ball. thanks to everybody for sharing. Great cards and tags! 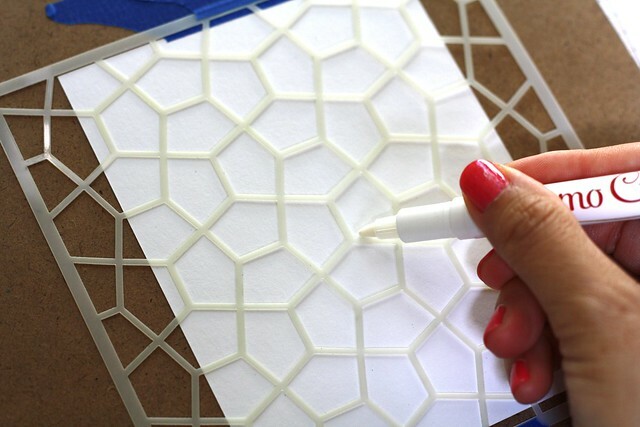 I love the idea of the resist pen... have to try that out! Great collaboration with Neat and Tangled products along with Cosmo Cricket! Love the cards and tag! Very colorful! Wow, love all these brigh colours . Great backgrounds on both cards and cute tags. Very cute cards...can never have enough of water coloring. Thanks Laura for reminding me to use a resist pen. Oh, I would love a Resist Pen - so versatile! These are great cards! Laura & Elena your work is amazing, love the resist pen. How cool is THAT??? ♥ your cards and tags! So pretty! Great cards. Something tells me I need that resist pen. Simple yet so impressive designs by Laura & Elena. Hmm, I just might have to save up for that resist pen and the swatch sticks. Adorable projects today...love the colorful stenciled background, the cute underwater scene and the sweet tag! Elena echoed my sentiments exactly-"They are made for watercoloring dummies like me!" I really like all little additional details she added- the sequins,flecks of darker, resist circles with doodling-they make so much difference. And I love all the script sentiment dies-I need them! Can't wait until tomorrow. These are gorgeous! I am loving that Resist Pen! The cards/tags are simply marvelous! I'm intrigued by the resist pen and the swatch stick...Off to check them out! Thank you for the inspiration! Love the backgrounds! That resist pen is amazing! This is a wonderful collaboratioN! Cuteness overloaded..love each one of them..Thank you for the inspiration.. Very nice! I wanted to try these products! I love the effect of the background on Laura's card. Oh that skunk is super adorable! I love the other cards, too. Super fabulous! Love the colors on all these cards! Awesome cards! Laura and Elena, thanks for inspiration! That resist pen - SO COOL!!! What a great idea the resist pen is! Such inventive techniques. Love the skunk card background! 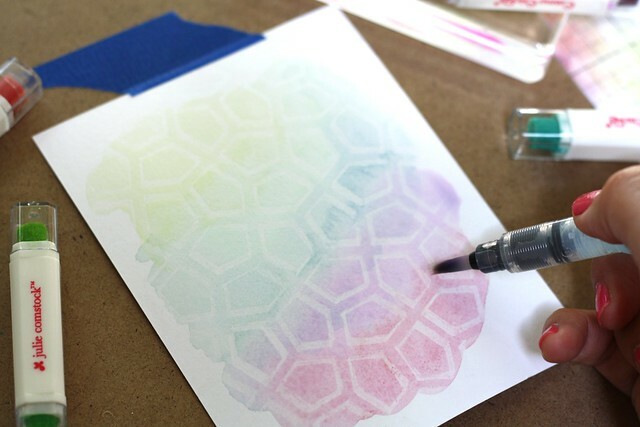 Love the technique with the stencil and the resist pen - so cool!!! All of the projects featured today are so inspiring and fun!!! The resist pen is incredible! Lovely technique. Love these cards.